The Master from "Manos: The Hands of Fate" is quite handy. 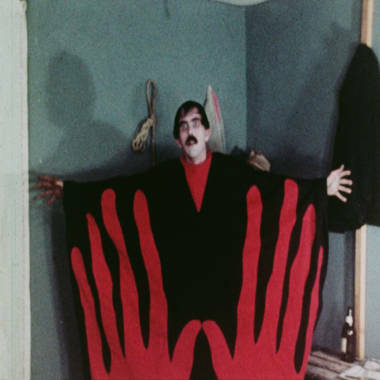 "Manos: The Hands of Fate" was made in 1966 by a fertilizer salesman on a $19,000 budget with a camera that shot only 32 seconds of silent footage at a time. It featured the infamous Torgo, a creepy manservant with giant thighs (he was supposed to be a satyr -- half-goat -- but no one watching knew that), the world's happiest-looking hellhound, and random scenes of a couple making out in a car thrown in because the actress in them had broken her leg and couldn't walk. In one scene, cops take about three seconds to investigate a gunshot, with the actors later explaining that they didn't have enough light to take more than a few steps away from their car. The film's opening sequence features endless, dull driving scenes unadorned supposedly because the filmmakers forgot to add opening credits. Even its title is mockable -- "manos" means "hands" in Spanish, so the movie's full title is "Hands: The Hands of Fate." Entertainment Weekly called it "the worst movie ever made," and fans of "Mystery Science Theater 3000," the show that dragged it from obscurity into fame by riffing it on a 1993 episode, called it comedy heaven. Now three "MST3K" alums, Michael J. Nelson, Kevin Murphy, and Bill Corbett are revisiting "Manos" with all-new mocking from Rifftrax, the comedy crew they formed after "Mystery Science" ended in 1999. It will be shown nationwide on one night only, Aug. 16, in hundreds of theaters, with the riffers' commentary playing over the film. Fans who fondly remember "MST3K's" version are in for a treat -- all the jokes are new. Corbett wasn't on "Mystery Science" when the show tackled the movie, Murphy confesses he hasn't seen that version in a decade, and Nelson says he pretty much blocks out memories of past jokes once a show is finished. 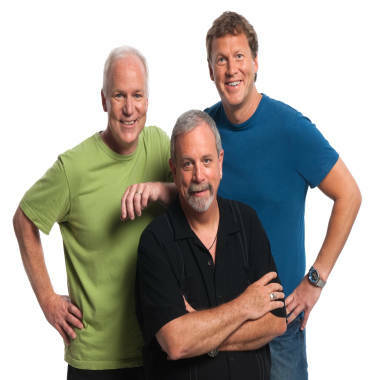 Bill Corbett, Kevin Murphy and Michael J. Nelson of Rifftrax.com found plenty to mock in "Manos: The Hands of Fate," one of the most popular "Mystery Science Theater" episodes now getting a fresh take. And they'll be helped by Rifftrax writers who didn't work on "MST3K's" version of "Manos," so are coming at the film fresh. The riffers don't plan to make it a habit to revisit "MST3K" movies, but "Manos" is undeniably special. Murphy says "MST3K" fans request it more than any other movie the show did, and Nelson says it's deserving of a fresh take. "I just feel this is such a rich target," Nelson told NBC News. "(We want) to take a fresh look at it with everything we've learned over these 19 years." The print of "Manos" which will be shown in theaters is of much better quality than the movie shown on "MST3K," and Nelson says the cleaned-up print has revealed at least one very riffable tidbit that wasn't obvious when "MST3K" tackled the film. "(The new print reveals that) Torgo sleeps in the corner on a little pile of dirt," Nelson says. "He just kind of wakes up from the corner and you think he's got a little doggie bed or something, but no, he shoveled in about 40 pounds of dirt." Torgo is half-man, half-goat, which still doesn't quite explain the giant thighs and knees. "You see that and you think that's so Torgo," adds Murphy. 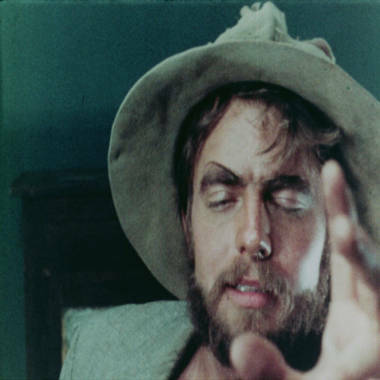 Torgo is a favorite character of many "MST3K" fans, aided by the fact that Nelson portrayed him in several other "MST3K" episodes in the skits shown between the movie sections. "Mike played Torgo probably better than Torgo himself," Corbett says. Each of the riffers have their own favorite Manos scenes. "I just love the ladies in their granny underpants," says Murphy, referring to the numerous wives of Torgo's boss, The Master, who wear dowdy white nightgowns and have a memorable catfight. "There was such a Monty Python quality to that scene," Corbett says with a laugh. "Like when the Ladies' Auxilliary Guild recreate the Battle of Trafalgar or whatever." Corbett's own favorite scene involves the Master's supposedly scary Doberman. "I like tracking the Master's dog," he says. "He's such a happy guy, wondering what's going on, trying to make it work, nothing satanic at all about him." Nelson's top moment comes when the hapless family of the film stumbles onto The Master's property and have absolutely no problems bunking at the bizarre location. "He introduces himself as Torgo, and the dad, who is charged with protecting his family and giving them a nice place to sleep, just immediately buys in," Nelson remembers with a laugh. "'Torgo, is there any way we can hang out here for a while?' Buys that his name is Torgo, doesn't bother asking any follow-ups, just buys right into it." Corbett adds, "Torgo specifically warns him about the dangers of staying there and he's like 'Aw, come on! I want my young child to stay here tonight!'" So far, Rifftrax and "Mystery Science" fans are thrilled to get a fresh comedic take on their favorite bad movie. "People are happy to see it again," Nelson says. "We get lots of questions." Adds Corbett, "People want to know, are you just going to reboot? Are you just going to reuse the same riff? And the answer is a definite no, we're rewriting it from scratch." While "Manos" has been declared by many to be the worst movie ever, not all the riffers think it was the worst film that "MST3K" ever tackled. "There were (films) that I think were worse in a worse way, a less fun way," Nelson says. "'Monster A Go Go' I thought didn't make any sense as any kind of human communication at all ... whereas this one at least attempts to tell a story." Rifftrax has already created commentaries for hundreds of offerings, ranging from the kind of obscure B-movie that "MST3K" tackled to blockbusters like "Twilight" and "Titanic" to hilarious mental hygiene shorts. It's possible they'll revisit another "MST3K" film someday -- their fellow alums at Cinematic Titanic offered a fresh take on "MST3K" holiday favorite "Santa Claus Conquers the Martians." But don't look for it to become a habit. "I think it's fair to say we won't just comb through the whole back catalog," Corbett says. "(Revisits) would be fairly rare I think." There's certainly enough fresh material to keep them busy. Recent Rifftrax commentaries include hilarious takes on automobile-safety short "Love That Car!" and on the 1989 David Carradine sci-fi action disaster "Future Force." "We keep discovering great new old bad stuff," Murphy says. Rifftrax sells its other commentaries as downloads and sometimes DVDs, but at press time, it wasn't clear if "Manos" would be offered in the same way, meaning fans should clear their calendars for Aug. 16 and head to their local theaters. "Bring your largest thighs," Nelson tells fans. "And leave your goats at home," Corbett adds. Happy 65th birthday, Arnold Schwarzenegger! Get to dah choppah!